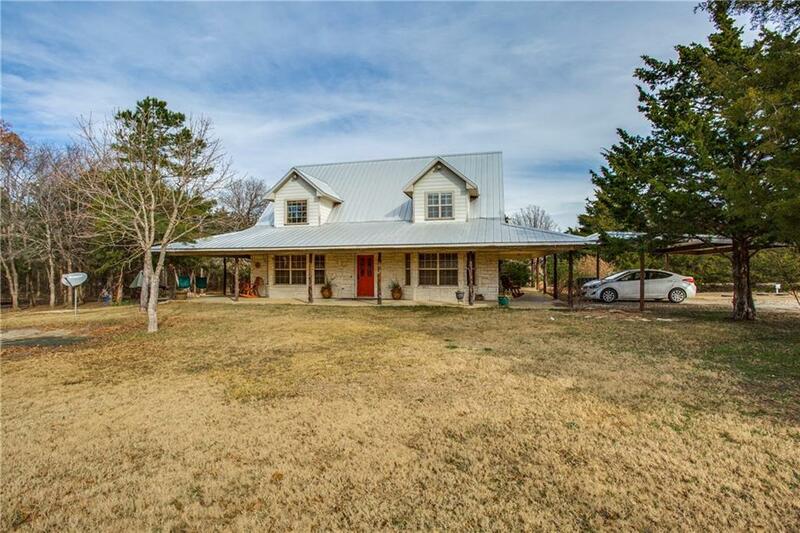 Location + Privacy + Country Setting + Plenty Of Space For Kids, Horses & Dogs to Run All In One ! 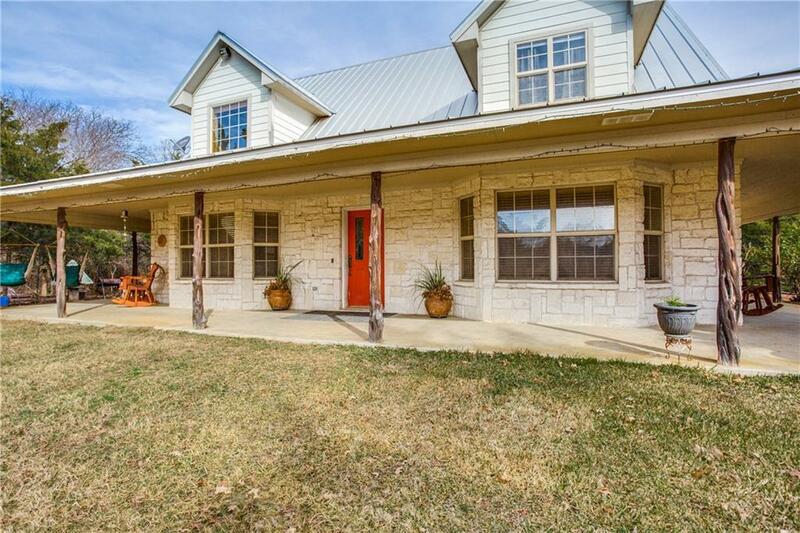 Ranch Style Home Offers Full Perimeter Wrap Around Porches, Metal Roof, Cedar Columns. The Lower Floor Is Set Up For Cooking, Eating & Family Time As The Spacious Kitchen Opens Up To The Large Family Room - 2 Bedrooms & Universal Loft On The Upper Level - Plenty Of Space Outside For Large Animals - Store Your Boat Or RV In The Metal Building Or Convert To Stalls Or A Mancave. 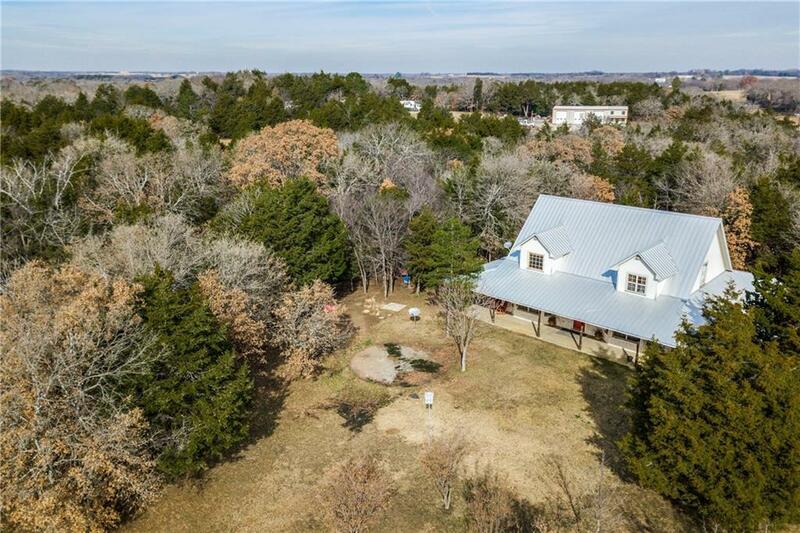 Property Located 20 minutes from Lake Texoma Boat Launch & 45 minutes to Lake Ray Roberts Marina & Boat Docks. 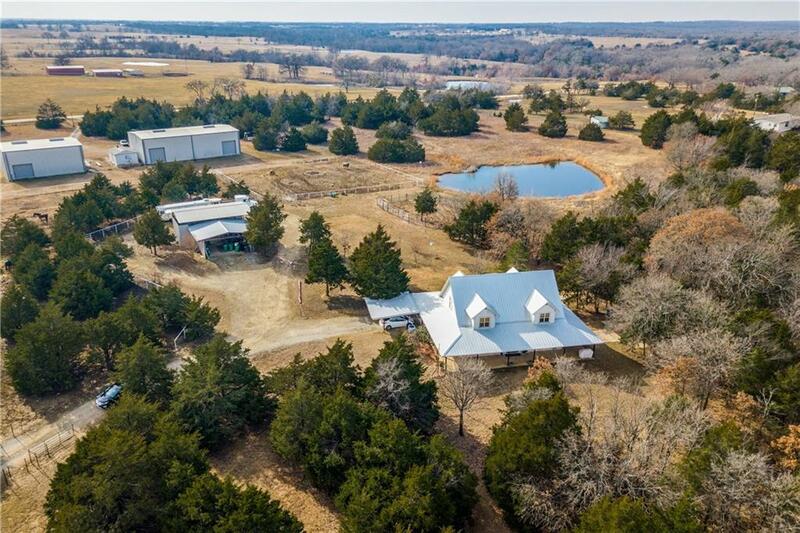 If Your Looking For A Private Property With Easy Access To Schools & Work That Is Close To HWY 82 This Is It! Offered by Michael Sanders of Keller Williams Realty.